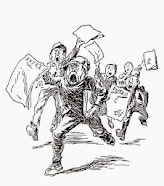 Between 17 April, 1917, until 15 November, 1918, W.A. 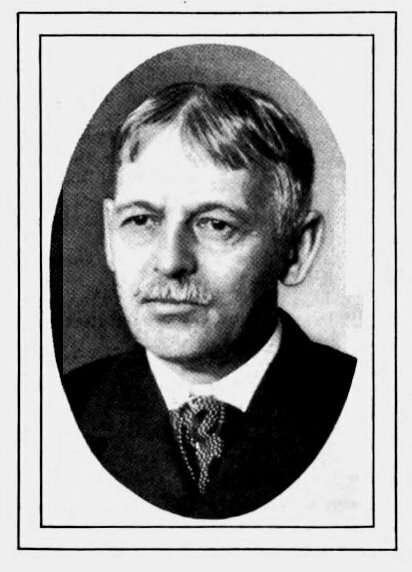 Rogers was one of the executive members of the Division of Pictorial Publicity of the Committee on Public Information set up under George Creel for propaganda purposes during World War I. 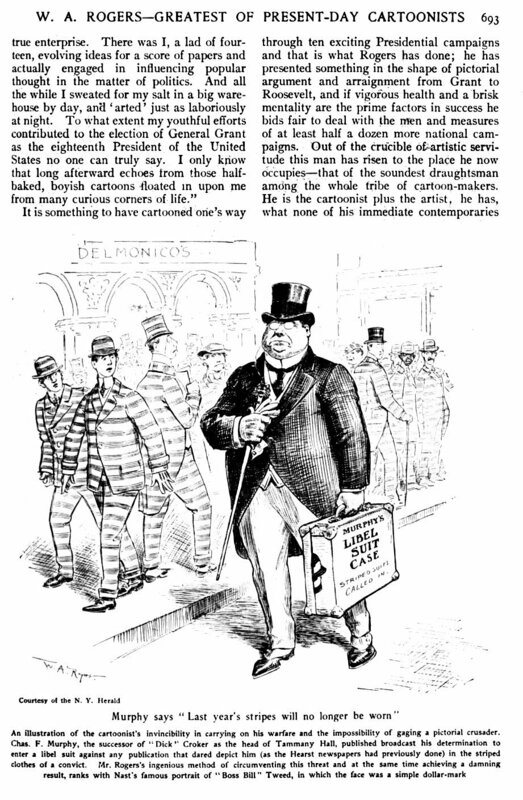 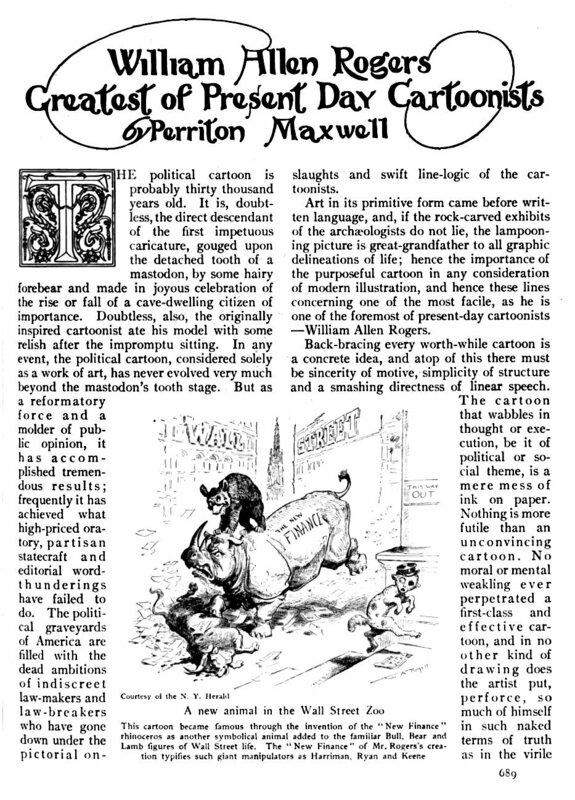 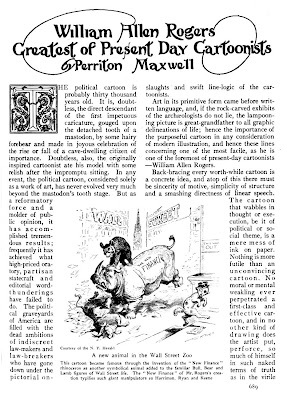 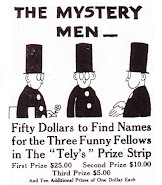 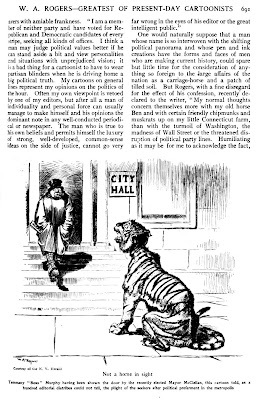 The cartoons produced for newspapers were probably more effective than the graphic posters designed. 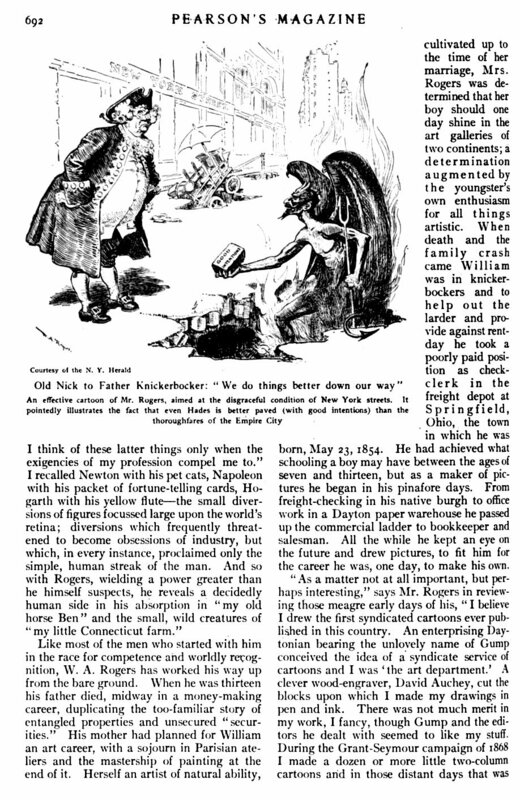 Newspapers were read in the millions every day. 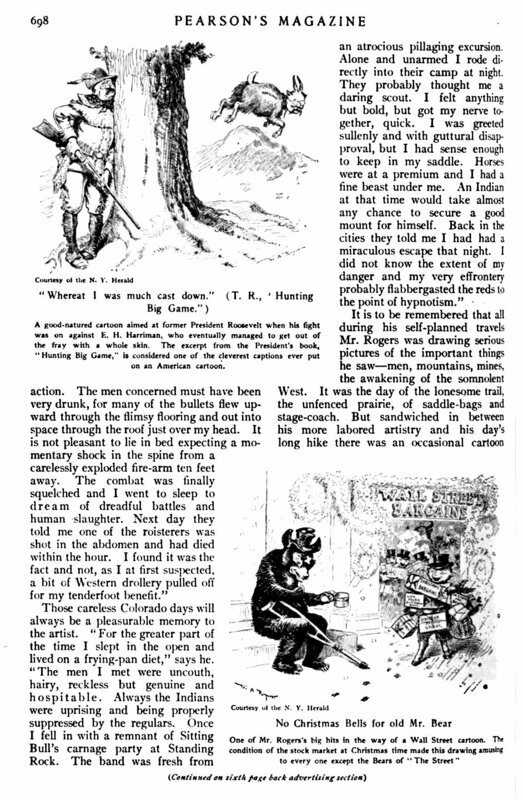 Rogers’ war cartoons were beautifully rendered in brush and pen but seem rather false and staged to modern eyes. 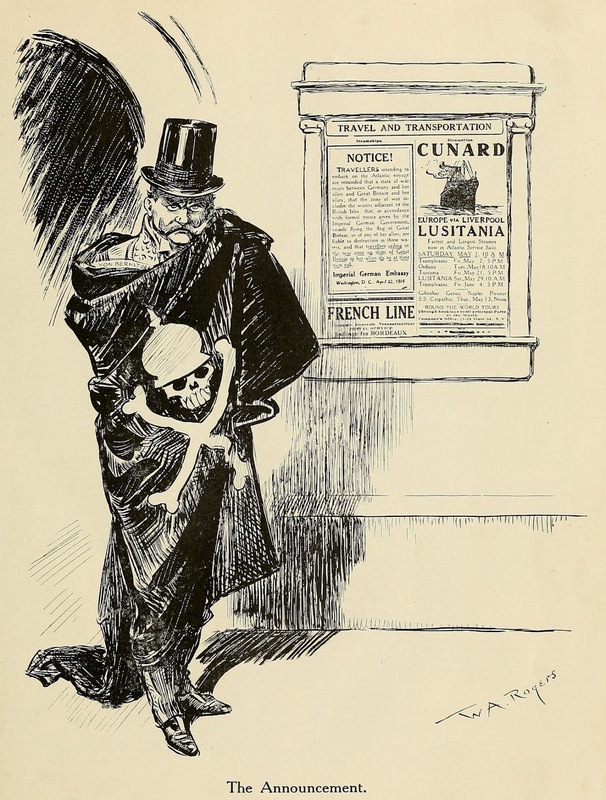 His villains (see the one above) were straight from the melodrama, and his ‘pirate’ metaphor for the Germans is contrived. 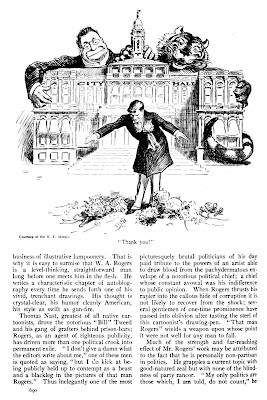 Rogers also supplied cartoons on the “Belgian atrocities” but he was not as successful as the Dutchman Louis Raemaekers. 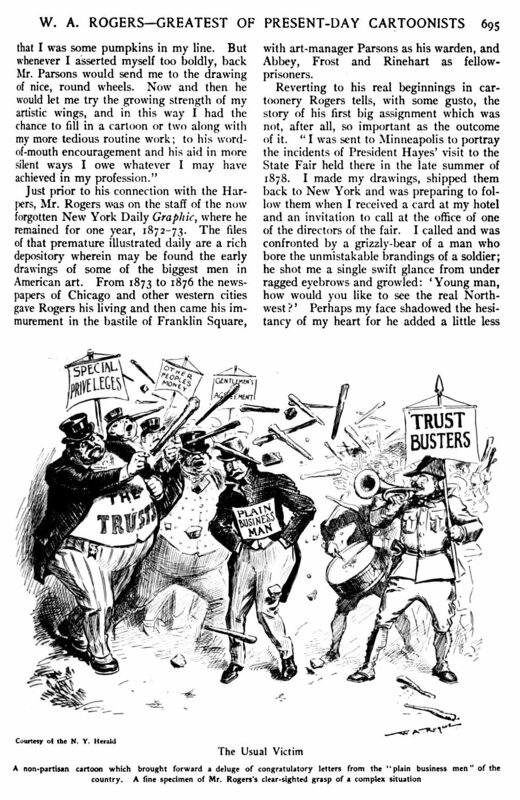 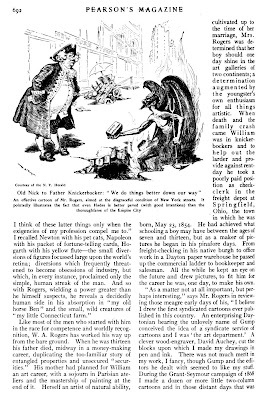 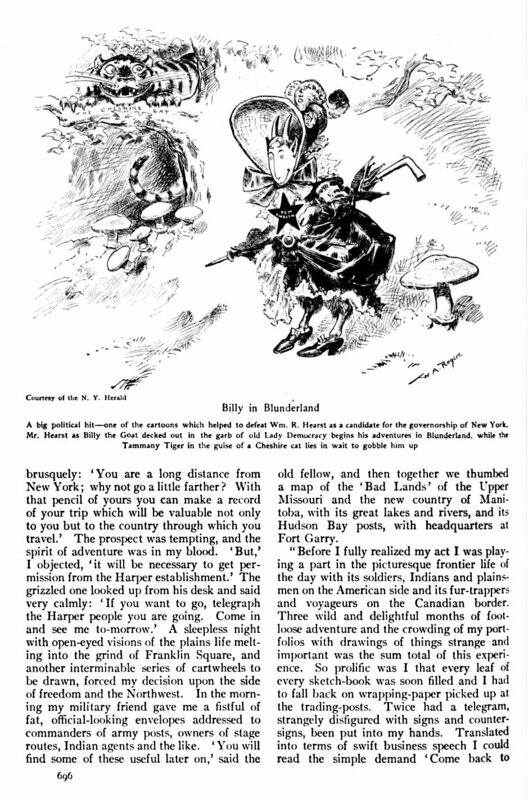 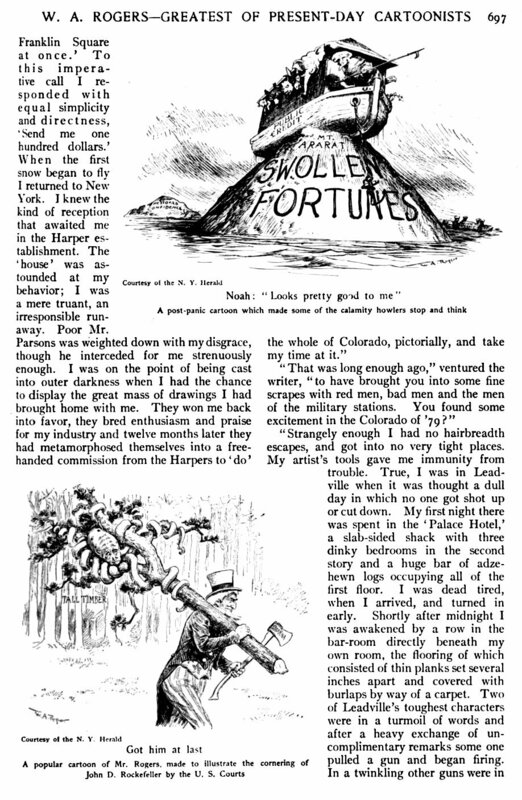 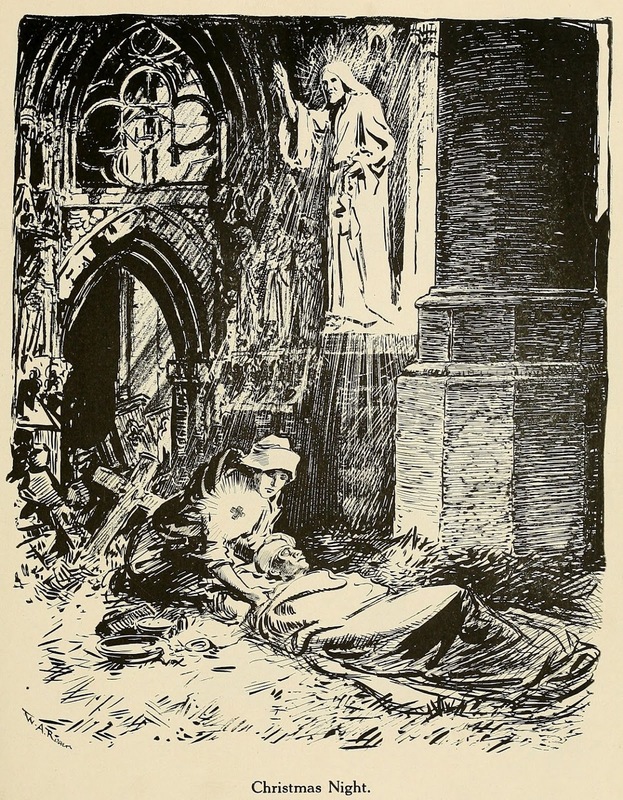 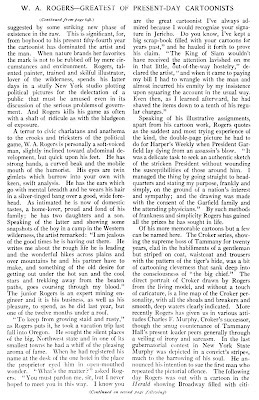 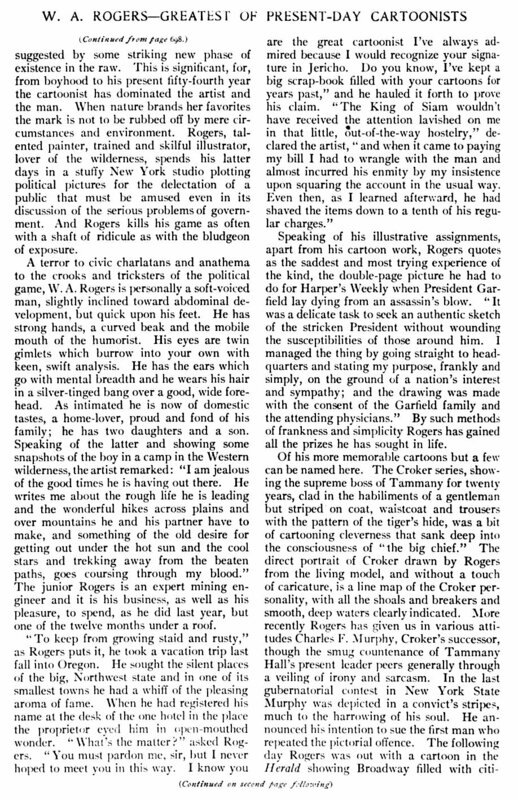 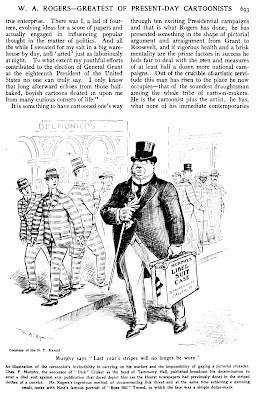 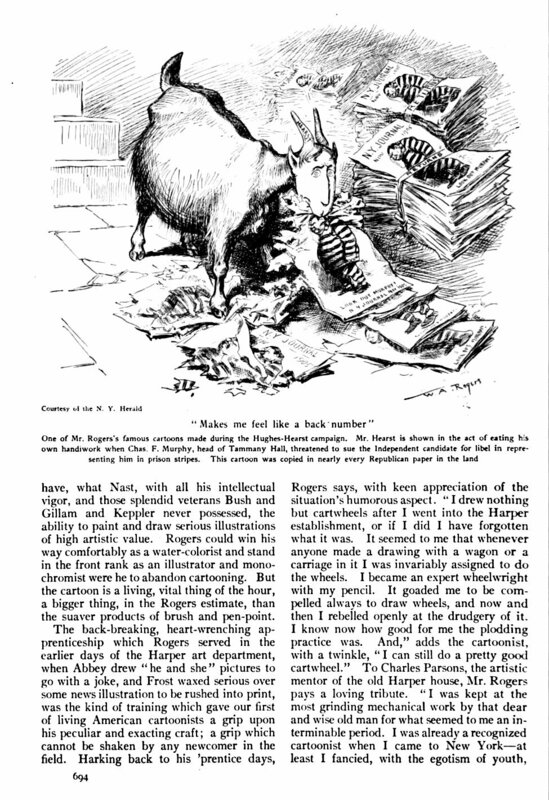 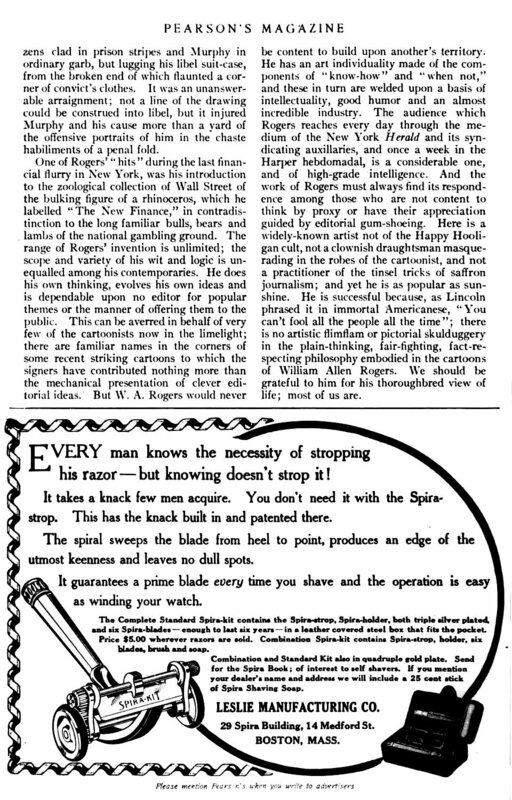 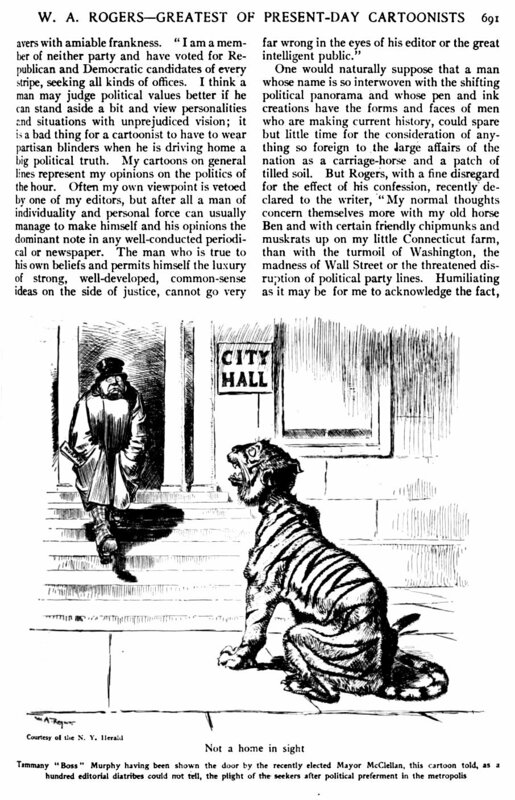 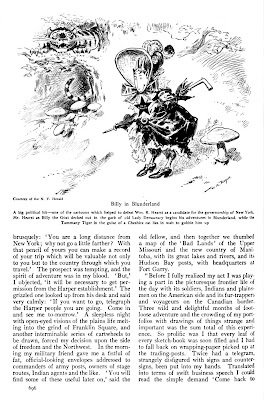 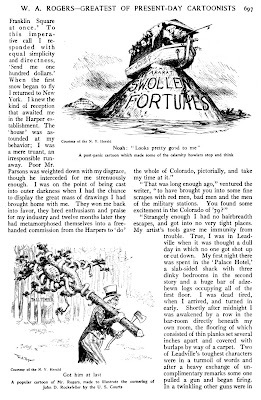 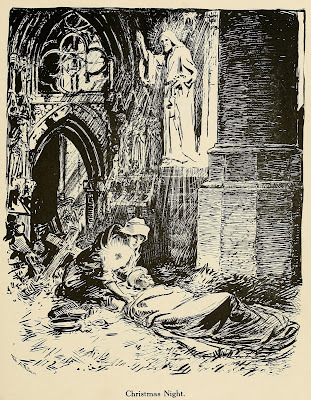 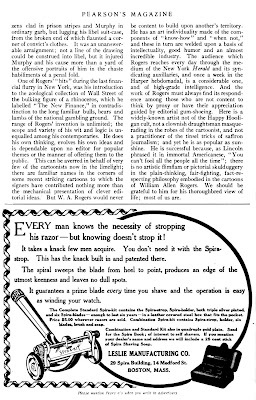 William Allen Rogers (1854-1931) did have an amazing background, however, first as a cartoonist and illustrator at Harper’s Weekly, then as a muckraking editorial cartoonist for the New York Herald, where his best work was to appear. 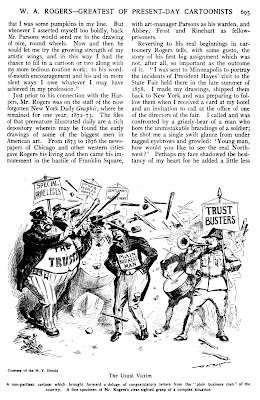 Even further back he said that he believed he “drew the first syndicated cartoons ever published in this country” – and that was in 1868! 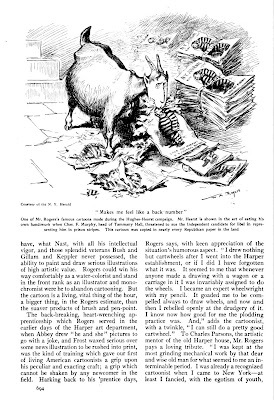 “An enterprising Daytonian bearing the unlovely name of Gump, conceived the idea of a syndicate service of cartoons and I was the ‘art department.’ ” Rogers drew his syndicate cartoons in pen and ink on woodblocks.